The landscape of boxing's P4P list is one that's ever-evolving. The entertainment industry is time and again lauded by many for its sheer over-the-top glitz, glamour, grandeur and showmanship. When you talk about entertainment, the first thing that comes to mind is Hollywood. It’s safe to say that very few art forms come close, or dare I say, exceed the ‘E’ quotient delivered by the innumerable -- and oft criticized -- presentations put forth through the year by Tinseltown. For fans of combat sport, one doesn’t feel the need to cross over to the bitter-sweet world of showbiz, as the 'hurt' business puts forth its own franchises of sports-entertainment, with each and every franchise scratching and clawing in a bid to outdo the other; carving a unique niche for combat sports in the realm of sports and entertainment. When you think of sports -- when you talk entertainment -- it doesn’t get any more cheesy and/or entertaining as professional boxing. If you’re of the school of thought that the dozens of movies depict the business of pro-boxing in an over-the-top manner, you couldn’t be farther from the truth. Boxing is that cheesy. Boxing is that ruthless. The boxing business and the business of boxing is treacherous. It’s a bed of roses, replete with thorns. It’s like a devious damsel -- as conniving as she’s beautiful, she’ll take much more than what she gives. Boxing is an unforgiving business. The sweet science is at a strange crossroads right now; with challenges being thrown its way by the recent emergence of the sport of Mixed Martial Arts (MMA), with the latter being a refined version of the ancient art of no-holds-barred fighting popularised in Brazil as Vale Tudo. Nevertheless, boxing holds its ground, like an old lion protecting his pride in the face of a young challenger. The art has been around since 688 BC and will keep its place in the martial arts community till the end of time. To be at the top of this deadly game of fists and wits, you need to have a near-perfect balance of a true martial artist’s mind, body and spirit. As for the fight game -- be it boxing or any other form of martial science -- there are millions who have tried, but it’s only a select few that rose to the top of the food chain, staying on the throne for a considerable amount of time. Making it to the pinnacle of professional boxing -- one of the most dangerous forms of combat sports competition in the world -- is an incredible feat. Holding that position is even tougher. Today, we take a look at professional boxing’s top five artists. Please note that the following list is subjective and is not intended to direct any disrespect toward the boxers not mentioned. Andre Ward is one of the smartest fighters in the history of the sport. 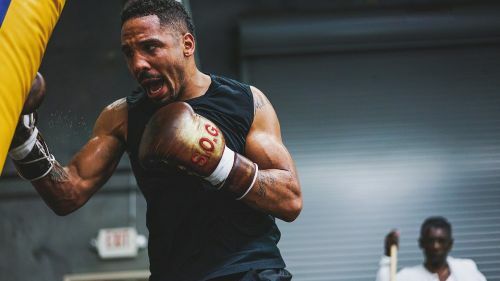 The rematch with Sergey Kovalev led several boxing pundits and fans to question Ward’s dirty tactics, that he has been accused of implementing time and again, particularly when faced with a dangerous knockout artist. Andre Ward’s 2011 win over Arthur Abraham is yet another example of him using every trick in the book to try and essentially dirty-box his way to victory. He was rocked and almost finished in the last round of his fight against Abraham. 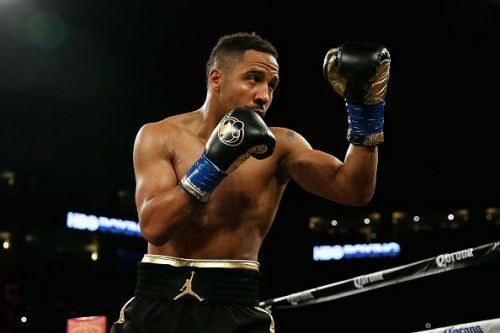 However, much like his first showdown with Kovalev -- a fight that took place last year -- Ward held on and took home the win on the judges’ scorecards. Regardless of all the harsh criticism levied on Andre, one simply cannot deny the fact that the man is a true survivor. He may not be the hardest puncher in the sport, but when it comes to strategy and carrying the poise to execute said strategy, no one does it better than the ‘Son Of God’. Ward has an excellent sense of distance and timing. Additionally, the 33-year-old Light-Heavyweight kingpin is one of the toughest nuts to crack -- both physically as well as mentally. His calm, composed, calculative demeanour has what’s helped him survive the murderers’ row he’s faced over the course of his long and storied career. Furthermore, the boxing world is now abuzz with talks of Ward potentially moving up to Cruiserweight to face part-time Heavyweight and former full-time Cruiserweight veteran Tony Bellew. And as if that wasn't crazy enough, Ward and his team have also indicated a possible showdown at Heavyweight with reigning IBF, IBO and WBA Heavyweight Champion, the towering British KO artist, Anthony Joshua. There aren’t many as brave as SOG.